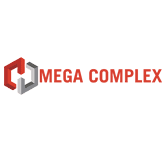 Mega Complex is a contemporary seven-storey commercial building centrally located in the heart of Arusha City. Mega Complex comprises of office and retail space and an adjacent five-storey automated car parking garage. An array of building amenities include lifts that are accessible on all floors, access control, CCTV surveillance, 24/7 security, fire alarm detection system, on-site ATM, a standby generator and ample water supply. Mega Complex sits in close proximity to some of Arusha’s most prestigious landmarks, with direct access to the Sheikh Amri Abedi Stadium, Arusha Market, Arusha bus Terminal, and superb views of Mount Meru. The property manager is accountable to protect, maintain and enhance the value of commercial real estate assets in order to maximize the owner's financial return and for the benefit of the tenants, consumers and the community. This is accomplished by direction and coordination of the center's operational activities, leasing and marketing. The role holder represents the property owner to both the tenants and the public. • Manage and control advertising budgets. • Advertise and fill vacancies. • Obtain referrals from existing tenants. • Process applications and follow up with applicants. • Promote and show properties to prospective tenants. • Interview, qualify and place tenants. • Maintain updated availability reports. • Keep rental at optimum capacity. • Maintain in-depth knowledge of market conditions. • Negotiate, prepare and enforce leases. • Complete all required paperwork for new tenants. • Ensure the premises is ready for new occupants. • Maintain all statutory required records. • Ensure compliance with relevant laws and regulations. • Enforce the terms of rental agreements. • Establish appropriate rental rates by conducting market research, determining costs and considering profit goals. • Prepare and distribute monthly statements. • Ensure timely payments and collections. • Check and pay invoices. • Analyze and correct budget variances. • Keep accurate and up-to-date financial records. • Prepare weekly and monthly financial reports. • Orient new tenants to the property. • Investigate and resolve resident complaints and concerns in a timely and efficient manner. • Enforce occupancy policies and procedures. • Maintain timely communications with tenants. • Monitor and complete maintenance and repairs timeously and cost-effectively. • Ensure security of premises and maintain security devices. • Organize incoming and outgoing inspections and prepare inspection reports. • Implement preventative maintenance programs. • Oversee capital improvement projects. • Negotiate and manage contracts with outside vendors. • Recruit, train and evaluate property staff. • Direct and control all personnel and resources to ensure the property is properly maintained and owner objectives met. • Possession of Bachelor Degree in Real Estate OR Property management or any other related field with at least 2-4 years’ Experience in property management. • Understanding of financial and accounting principles. • Understanding of marketing and customer service principles. • Working knowledge of contracts and agreements. • Working knowledge of building and grounds maintenance. • Computer proficiency including MS Office and property management software. • Knowledge of relevant local legislation and regulations. Interested applicants should send their certified copies of academic credentials, application letters and updated CVs with three valid referees through email: b.hezron@megatradeinvestment.co.tz before 17th August 2017.